I rarely buy lemon in supermarket. Not only because it’s expensive, but also because it’s imported lemons. I don’t know how long does it takes from the farmers into come to my hands, I guess it takes weeks in the road? Can you imagine how much it lost its nutrition and enzymes? Lime is the most common citrus in Indonesia, it is so cheap and abundant in any season. I always substitute lime for lemon in any recipe I tried, not until I finally found local lemon in my town. These local lemons are way more smaller and the juice is lesser than the imported one. But for the sake of freshness and price (it’s quarter of imported lemon price!) I choose local lemons (go local farmers!!). Anyway, when life gives you lemons, make lemon cake! 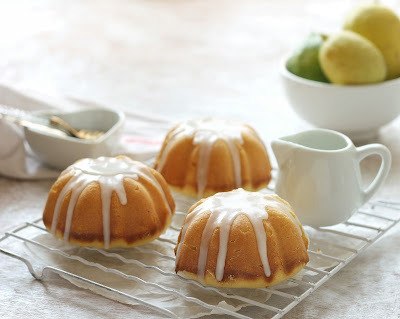 I actually already have favorite lemon cake recipe, but when I read Nicole’s blog titled Lemon Cardamom Cake, my mind is tickled. Cardamom, an exotic spice mix with sour lemon, what will it be? So, to feed my curiosity, I’d like to give it a try. Pre heat oven to 180 Celcius. Grease 5 mini bundt pan, sprinkle flour and shake out the excess. In another bowl, mix lemon juice, yogurt, milk and lemon zest, set aside. Add eggs gradually, beat until incorporated each after the addition. Beat in the wet and dry ingredients in 3 batches, alternating between the two. Pour the batter into prepared pan, bake for 30 minutes. 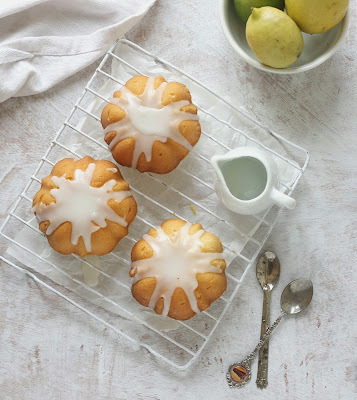 Whisk the two ingredients together and keep adding lemon juice until you have thick pourable icing. Drizzle the icing on the cake. ps: I reduce the amount of sugar and use only yogurt. Check out Nicole's blog for the origin recipe using imperial conversions. 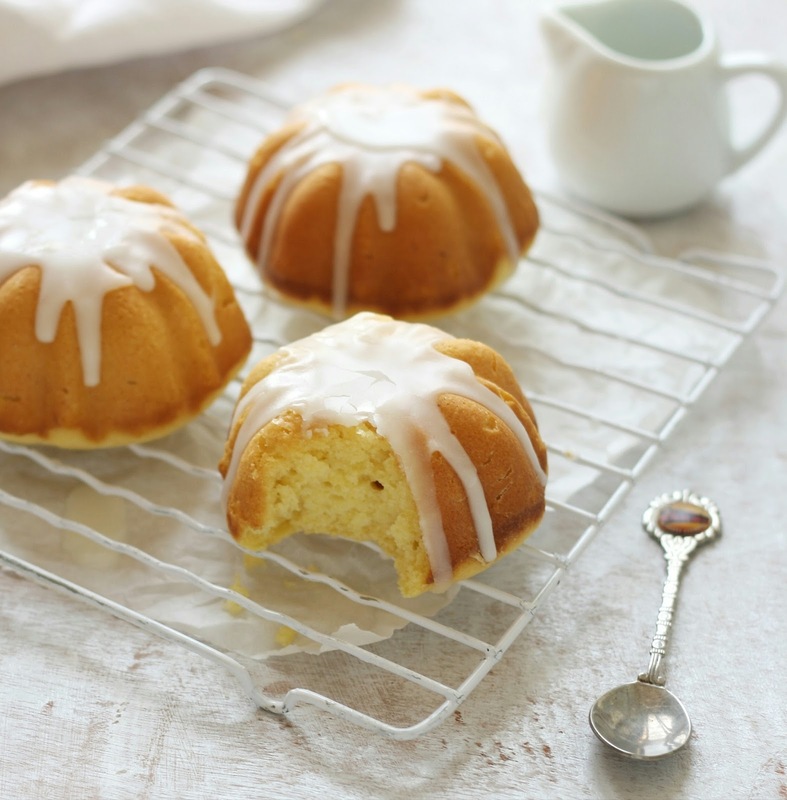 If one thing I should tell you about this cake: don't skip the cardamom because it gives unique sensation to this sweet sour cake. You wont believe how it's perfectly blended with citrusy cake. The texture is light, moist and bit crumbly, a perfect companion for tea in ifthar! My boy was so thrilled when i asked him to drizzle the lemon icing!